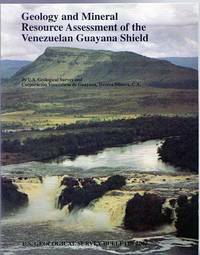 Geology and Mineral resource Assessment of the Venezuelan Guayana Shield. : U.S. Geological Survey Bulletin 2062. U.S. GEOLOGICAL SURVEY; COROPORATION VENEZOLANA DE GUAYANA, TECNICA MINERA, C.A. (Washington, United States printing office, 1993).. First Edition; 4to; pp. 118; stiff illustrated wrapper enclosed in large hard cover with packet containing relevant documents at the back of cover; 8 folding plates; numerous colour illustrations throughout; 6 maps of the survey enclosed in cover, a fine copy. Collector's Casebook. 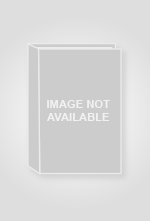 : Illustrated with photographs. London, Constable Young Books, 1963.. 8vo; pp. vi, 106; 13 b/w. illustrations, sources, index; dustjacket; very good copy. On the Fields of Glory. 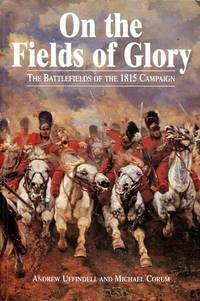 : The Battlefields of the 1815 Campaign. London, Greenhill Books, (2002).. Second Edition; 8vo; pp. xiii, 360; 28 pages of b/w plates, numerous b/w diagrams and illustrations, numerous maps; list of illustrations, list of diagrams and drawings, list of maps, key to maps, acknowledgements, appendices, index; stiff illustrated wrapper; a fine copy. 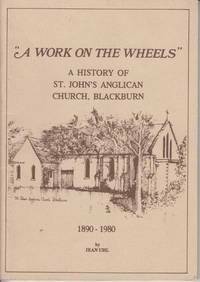 A Work On The Wheels: A History Of St. John's Anglican Church, Blackburn 1890-1980. (Blackburn, Australia, St. John's Anglican Church), n.d., (Copyright 1980).. Sm. 4to; pp. 96; b/w. illustrations, appendix, notes, references and bibliography; stiff stapled illustrated wrapper, a fine copy. Call Back Yesterday. 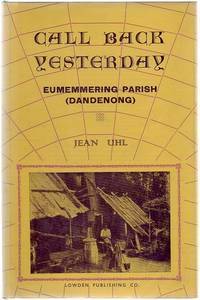 : Eumemmering Parish. Kilmore, Lowden, 1972.. 8vo; pp. xii, 109; endpaper maps, 8 pages of b/w plates, appendices, bibliography, index; original cloth, worn dustjacket, otherwise a very good copy. Kilmore, Lowden, 1972.. Ex. Library Copy; 8vo; pp. xii, 109; endpaper maps, 8 pages of plates, appendices, bibliography, index, original cloth, marks to dustjacket, a good copy. Inscribed by the author. Once In A Lifetime. Building a house in the 1950's - A Reminiscence. Ancestral Publications; 1995.. First Edition; 8vo; pp. [viii], 146,; illustrated with numerous b/w. photographs, original red cloth, title lettered in gilt on spine and front board.signed by the author on the title page, very good copy. Sailing Ships Shipwrecks & Crime in the 19th Century. 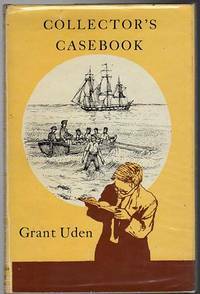 : A handbook for Historians, Genealogists, Shiplovers and Criminologists based on Supreme Court Records, Criminal Session 1840s-1860s. Oakleigh, Australian Institute of Genealogical Studies, 1985.. Lge. 8vo; pp. 58; further reading, indexes, original illustrated stiff wrapper, corners bumped, bookplate, otherwise a very good copy. A Woman of Importance. 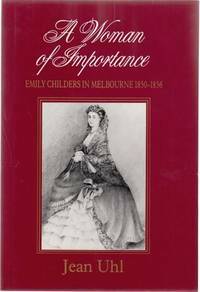 : Emily Childers In Melbourne 1850 - 1856. Printed by Maryborough, Victoria, The Book Printer, (1992).. 8vo; pp. (x), 340; portrait frontispiece, illustrated endpapers, numerous b/w illustrations throughout, bibliographical information, bibliography and further reading, index, index of persons, general index; original maroon cloth, dustjacket; a fine copy. 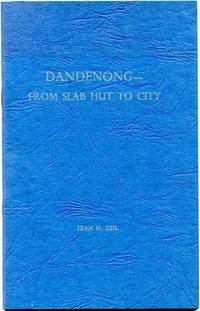 Dandenong - From Slab Hut To City. Mont Albert, Four Winds Press, (1976).. 8vo; pp. 59-96; 3 b/w illustrations; original blue stiff stapled wrapper; a fine copy. Dandenong - From Slab Hut To City. : Contained In The Victorian Historical Magazine. Issue 134 Vol. XXXIV No. 2. November, 1963. 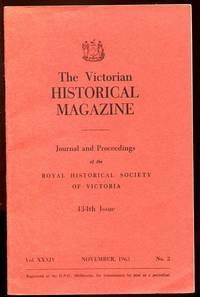 Melbourne, The Historical Society Of Victoria, 1963.. 8vo; pp. 49-96; original stiff stapled wrapper, a fine copy. Kilmore, Lowden, 1972.. First Edition; 8vo; pp. xii, 109; endpaper maps, 8 pages of b/w plates, appendices, bibliography, index; original cloth, minor marks to dustjacket, flecking to page edges, otherwise a very good copy. Still Stands The Schoolhouse By The Road. : The Old National School at Koroit and Early Education in the Western District. 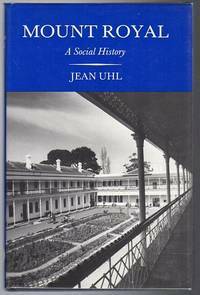 (Koroit and District Historical Society, 1987).. First Edition; 8vo; pp. xii, 84; endpaper maps, 32 illustrations, appendices, notes on chapters, select bibliography, index; original illustrated slick stiff wrappers, a very good copy. A Work On The Wheels". 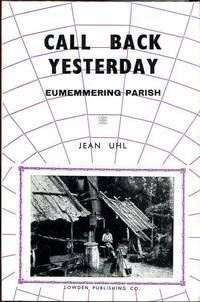 : a History Of St. John's Anglican Church, Blackburn 1890-1980. (Blackburn, St. John's Anglican Church, 1980).. F'cap 4to; pp. 96; 18 photographs throughout, appendix, notes, references and bibliography; illustrated stiff stapled wrapper. (Koroit and District Historical Society, 1987).. First Edition; 8vo; pp. xii, 84; endpaper maps, 32 illustrations, appendices, notes on chapters, select bibliography, index; original illustrated stiff wrappers, rubbing to spine, otherwise a very good copy. Mount Royal Hospital. : A Social History. Mount Royal Hospital, (1981).. First Edition; 8vo; pp. xv, 245; map endpapers, frontispiece, numerous b/w. illustrations, appendix, notes, select bibliography, index; dustjacket, a fine copy. Lenin And The Bolsheviks. : The Intellectual and Political History of the Triumph of Communism in Russia. London, Secker and Warburg, (1966). . First UK Edition; 8vo; pp. x, 598; 16 pages of b/w photographic plates, index; original brown cloth, title lettered in gilt on spine, dustjacket, price clipped, chipping to edges, otherwise a very good copy. Die Neuesten Entdeckungen in Afrika, Australien und der Arktischen Polarwelt. : mit befonderer Ruechticht auf die Natur und Rulturverhaeltnisse der entdeckten laender. 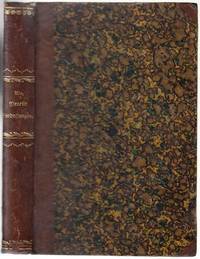 Halle, g. schwetichse'scher Berlag, 1861. . First Edition; 8vo; pp. viii, 394; frontispiece, 39 maps and illustrations, 4 folding maps at rear; original marbled boards with quarter leather spine, title lettered in gilt on spine, institution stamp on front free endpaper, first few pages browned, otherwise a very good copy. Text in German. London, Collins, 1955.. 8vo; pp. 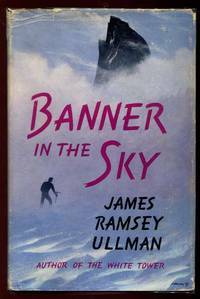 254; original cloth, dustjacket, flecking to page edges, chipped dustjacket, otherwise a very good copy. Man Of Everest. : The Autobiography of Tenzing. 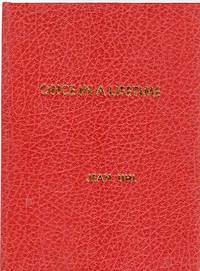 London, George G. Harrap & Co., (1955).. 8vo; pp. 320; colour frontispiece, 3 colour plates, 45 b/w illustrations, 4 sketches, index; original cloth, chipped dustjacket, spine bumped, flecking to page edges, price clipped, good copy.